Russia has seen multiple tributes to the victims of the recent terrorist attack in the St. Petersburg Metro, with over 100,000 people all over the country paying their respects to those killed. 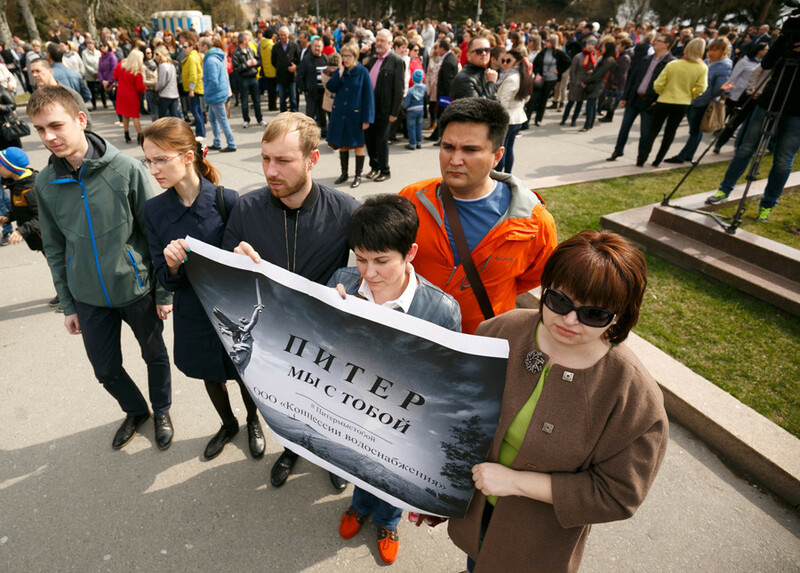 More than 50,000 people took to streets in central Russia on Saturday, April 8, including the cities of Kaluga, Lipetsk, Bryansk, Vladimir, and Smolensk. People gathered at central squares, carrying flowers, candles, and banners showing support for St. Petersburg. “I couldn’t have missed [the event]; I’m still thinking about that terror attack. My son is a student, he is in St Petersburg. I don’t want to be afraid for my child’s life!” Irina Osmyakova, from the city of Lipetsk, said. “Terrorism can bring any family to grief, I don’t want that. I came here to support my country,” another woman said. “We are getting together for a little bit, maybe, young people would see this and realize that terrorism is a horrible thing,” her friend said. 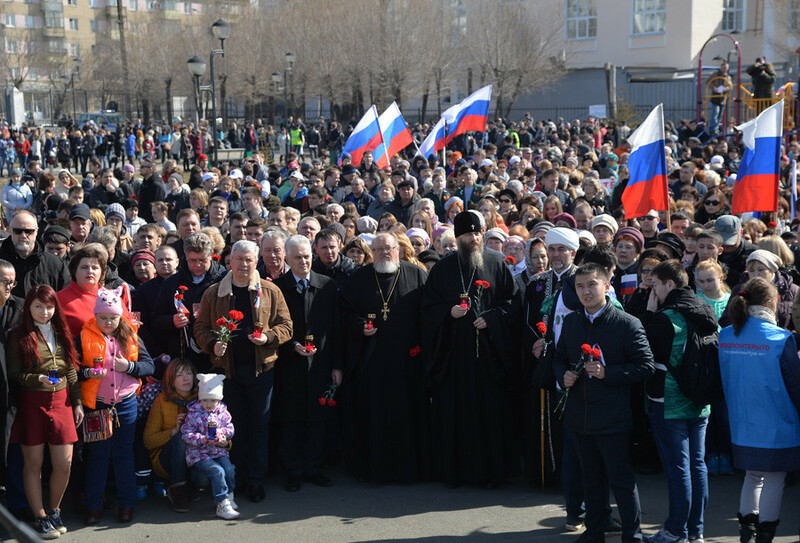 Orthodox clergy also attended the rally to commemorate the victims, and blasted the terrorist attack, urging people to be more united than ever. “Terrorists don’t have religion or nationality, they don’t have name and there is the only thing that can help deal with them which is unity among people, despite their religion,” Metropolitan Isidor said in the city of Yaroslavl. 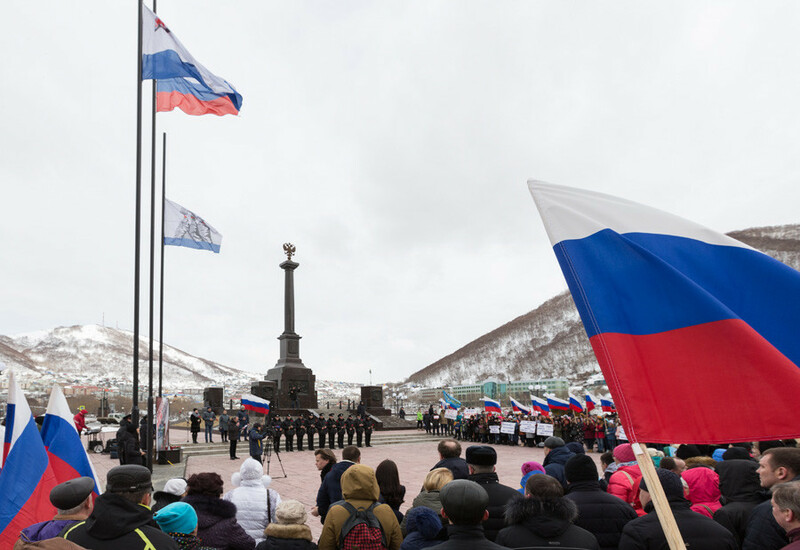 Russia’s northern regions, including areas around the cities of Novgorod and Kaliningrad, and the republics of Karelia and Komi, also joined the memorials. Around 40,000 people were seen on the streets. “We feel for those who had to go through this tragedy and wish those who were injured in this cowardly act to get well soon. The people of Kaliningrad love and know well St Petersburg, our friends and relatives live there. We sympathize with them and say ‘Petersburg, we are with you!’ We are not afraid, we won’t be intimidated, we will always be united!” Tamara Kuzyayeva, chairwoman of Kaliningrad’s Civic Chamber, said. In Arkhangelsk, crowds gathered at the central square despite rain and snow. “A coward and a horrible blast took lives of the civilians, all of them had their own lives, they were on their way to work or to have fun, or spend time with friends. This backstab put an end to their lives,” Arkhangelsk Region Governor Igor Orlov said. 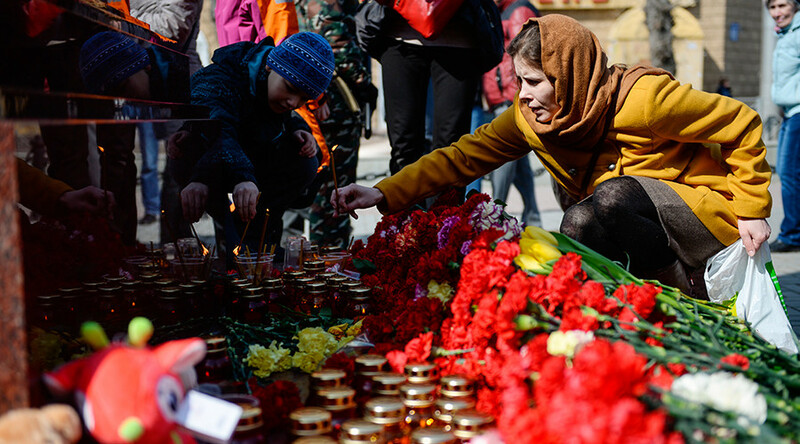 Around 3,000 people took part in an event dubbed ‘Say no to terrorism’ in the Vologda Region, bringing flowers and candles to a make-shift memorial to the victims of the attack. 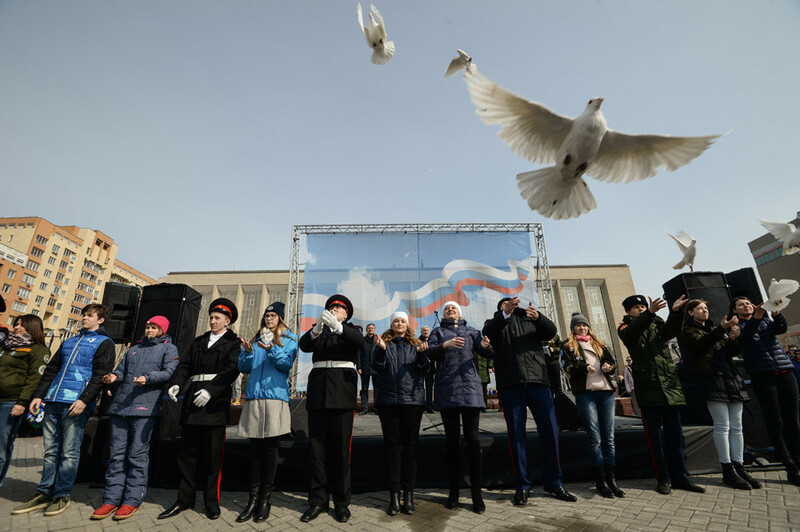 In Nizhny Novgorod as well as in the Siberian city of Nizhnevartovsk, people released hundreds of white balloons into the sky to pay tribute to the victims. 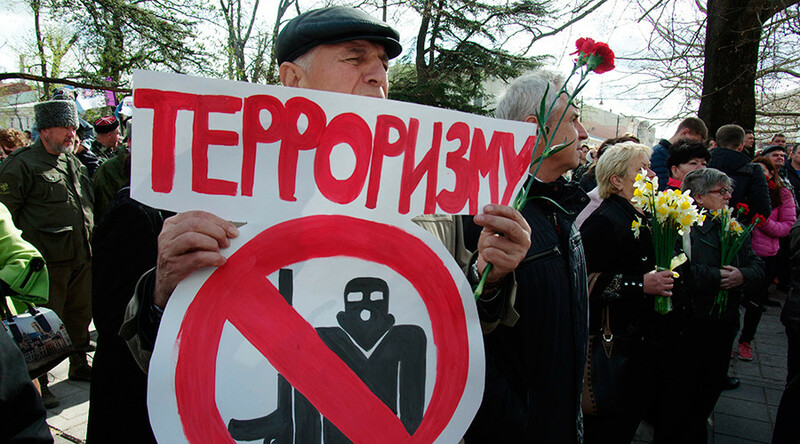 Cities in the northern Caucasus region, such as Grozny, Nalchik, Vladikavkaz, Pyatigorsk, and Stavropol, also staged a number of memorial events and demonstrations. 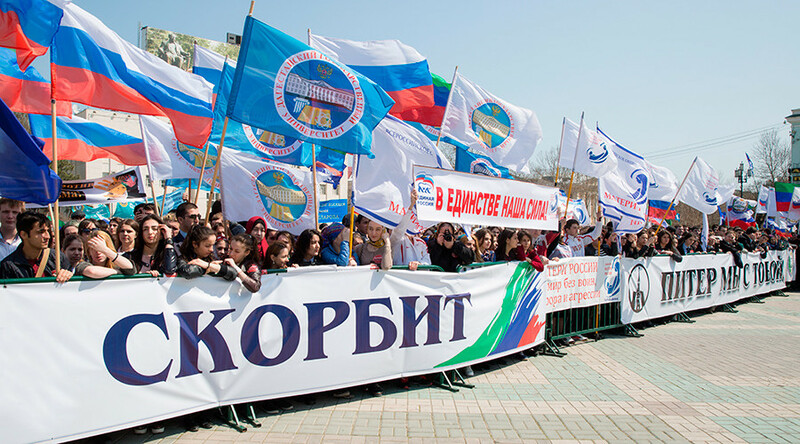 Around 30,000 gathered in Grozny, and 17,000 were seen on the streets of Makhachkala. People were seen carrying banners with various slogans, including: “Say yes to tourism, say no to terrorism,” “We choose life,” and others. 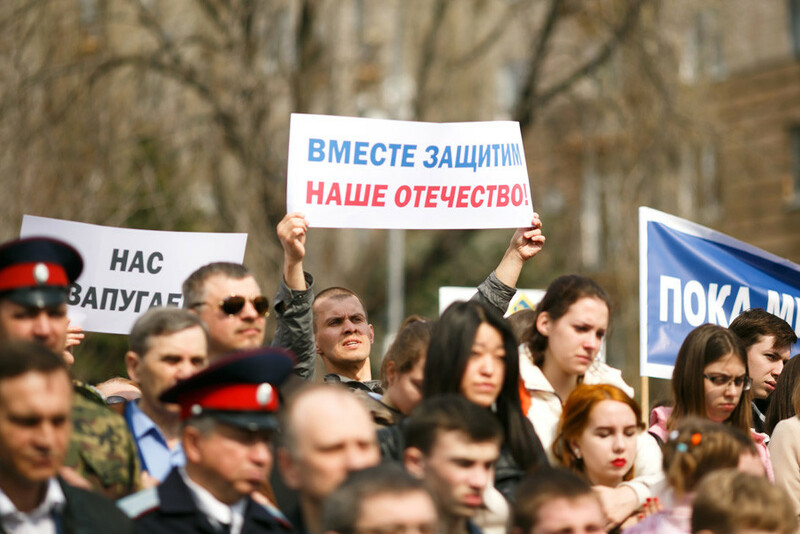 Moscow held a mass rally in support of Russia’s ‘northern capital’ on April 6. An explosive device went off in a train between the Sennaya Ploshchad and Technologichesky Institut stations of the St. Petersburg Metro on April 3, killing 14 people and wounding over 60 others.